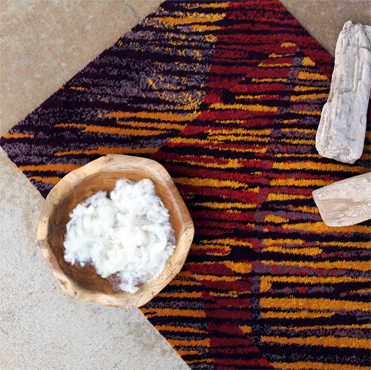 ATLANTA, Dec. 13, 2018 – The world’s leading manufacturer of luxury woven floorcoverings, Brintons Carpets, discusses weaving Pantone’s 2019 Color of the Year, Living Coral, into lively wool-rich Axminster patterns. Pantone, the global authority on color, defines Living Coral as a warm and nourishing shade of orange.With an air of optimistic energy, Living Coral promotes human connection and pushes us to reflect on our current environmental status. In our natural world, Living Coral brings to mind ideal underwater landscapes and bountiful life-providing botanicals. 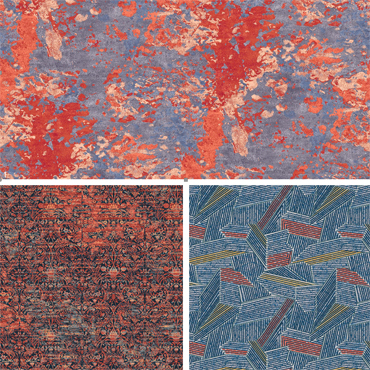 In commercial carpet, Brintons is seeing Living Coral, or Brintons Pom #25-2510 (D21), popping up in the abstract line work of loose lay Axminster rugs, used in textural layers to update traditional patterns, and smathered boldly across dynamic graphic elements. 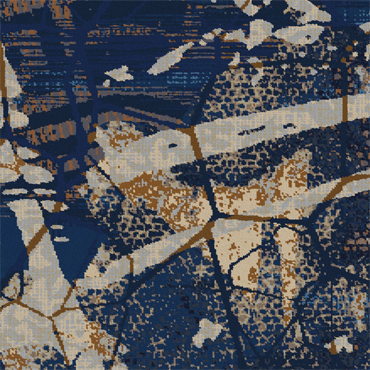 Brintons also notices Living Coral being used in multiple layers of carpet designs and in all sectors; marine, gaming, public space, and hospitality. Hospitality interiors are seeing elements at smaller scales– art objects, paintings, fabrics–take on the fully saturated fill of Living Coral. 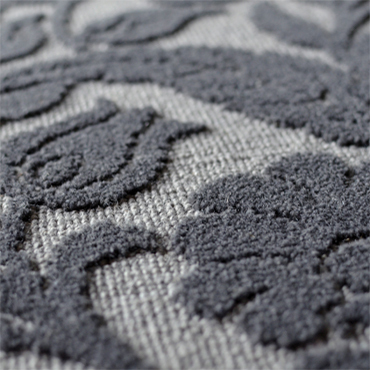 In carpet, the color is typically cultivated in small percentages on the uppermost design layers allowing it to softly echo throughout the space. With carpet being the largest unifying element in the interior, a hue as saturated as Living Coral can quickly overpower a design and throw off the balance. However, in extremely high-traffic areas like convention centers where the energy of the color is synonymous to the energy of the space, designers may flood the floor with this saturated hue in an analogous scheme instead of only using it for highlight and contrast. While this shade of orange can be intimidating in application, Brintons designers encourage creatives to be daring and not shy away from using bold color in flooring. Brintons Pantone color of the year match, 25-2510 (D21), is one of over 500 standard 80% wool 20% nylon blend poms available to designers.The company also boasts one of the largest pattern archives in the industry, much of which is digitally archived and available to be customized on Design Studio Online at dso.brintons.net. For more information on Brintons products visit our website, connect with us on LinkedIn, Facebook, Instagram, and Twitter, and follow our blog at www.brintons.net/blog. 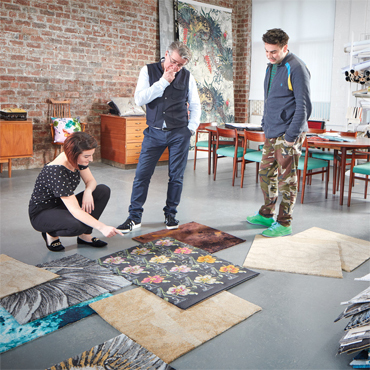 Brintons Carpets product portfolio includes premium woven axminster and wilton broadloom carpets, tiles and hand-tufted rugs.The company operates wholly owned ISO 14001-accredited facilities in India, Portugal and the United Kingdom.The company also operates a factory in Poland.